Finally! Obviously we do everything we can to attract our little winged friends, and often we are disappointed when our efforts fail at attracting them. 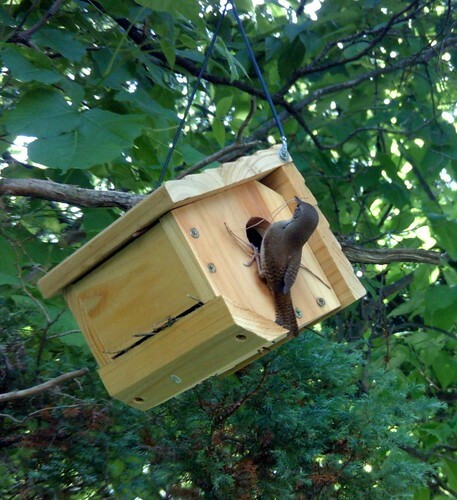 We seem to have had some success with the house wrens who are busily building a nest in the wren house we put out. Chris thinks they chose it because they have a lovely view out their front door of a blooming clematis. We can hear them from first thing in the morning and all through the day. Today we went out to two locations for birding, and we left the webcam on the wren house to keep an eye on things for us. 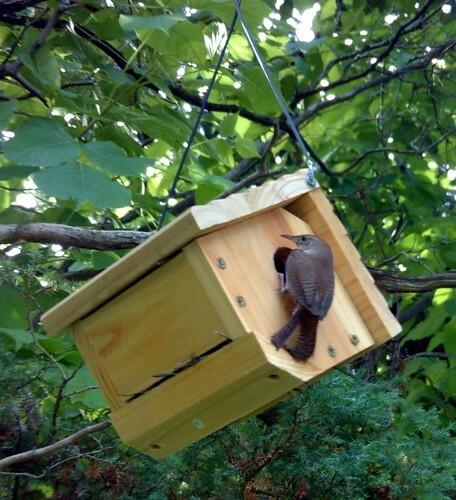 Here are some of the best pictures of our resident house wrens. We have house wrens who have built nest in all three of our ATV helmets!! They are hanging up on the garage wall one above the other.... there is one nest in each helmet (3 in all! )but I have only witnessed one mother sitting on her nest (the top floor!) 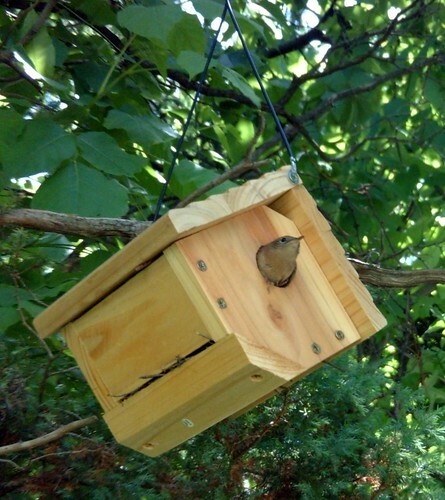 Don't want to get too close now that she's there to see if there are any neighbors in the other nests!